You do not want to scour the net and look for an emergency dentist in Stirling the moment after you had your tooth knocked out. Thus, it is best to always have the dentist’s emergency number for situations when you need to be seen by the dentist in Stirling right away. It would be good to take note of our number for emergency stations. When you contact us, there is no need to wait for you to get an appointment. We can book you for an appointment immediately. We understand your pain and we want to relieve you of that pain as soon as possible. Our emergency dentist in Stirling is on standby for emergency cases. That means you can be assured that you will get the attention and care you need when it matters most. We have a well-equipped clinic that will allow our dentist in Stirling to handle any sort of dental emergency. There is no need to go to another place for tests and x-rays. We can do all that in our clinic. If you got your tooth badly damaged due to injury or trauma, there may be a need to reconstruct your teeth so that you have that perfect smile again. That is when our cosmetic dentist in Stirling comes in. They can work with you so that you do not have to feel self-conscious when you need to smile for pictures. Our emergency dentist in Stirling and cosmetic dentist in Stirling pride themselves in their extensive training and work experience. They also make sure that they are up to date with today’s advancements in dentistry. That is why they always strive to get continuous education so that they can share what they have learned with patients just like you. We provide dental services to adults and kids of all ages. Our clinic does not only provide service for your emergency and cosmetic dental needs but also includes general dentistry and extractions. That means that you can call us up for all your dental needs. We provide services ranging from a comprehensive dental exam to extractions and sedation dentistry. That means you can come to us if you need to have your tooth cleaned and checked. 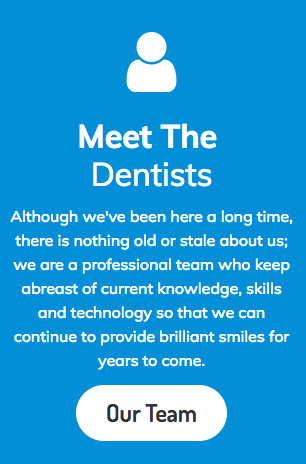 Our dentist in Stirling will be sure to check every single one of your tooth meticulously. Moreover, we can also include oral cancer screenings during your comprehensive dental exam. For those who are scared of going to the dentist in Stirling, we provide sedation dentistry. That means that you will be sedated during the whole process. It lessens your anxiety since you will be asleep during the entire procedure. So when you have a dental emergency that cannot wait until the clinic opens, contact us immediately and we will be glad to help you out. Take note that we also have a cosmetic dentist in Stirling for cases where you need immediate replacement of broken bridges, dentures, etc.